In this cartoon from the 1920s, cartoonist E.J. Pace shows the ways the “modernists” took over every institution, including colleges. What are the best colleges in America? A trenchant new argument by Ivy-League insider William Deresiewicz suggests that conservative religious folks may yet have their revenge when it comes to higher education. Since the 1920s, conservative Christians have complained that “their” colleges had been taken over by a secularizing elite. As I argued in my 1920s book, there was a great deal of truth to these claims. 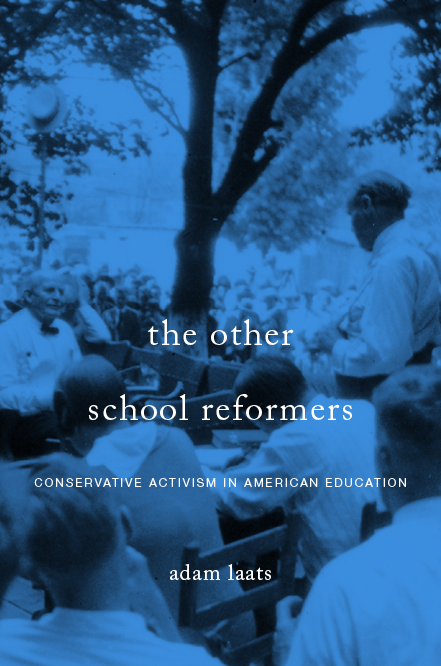 Elite schools such as Harvard and the University of Chicago really had been founded by conservative Protestants. Their original missions were explicitly religious. And, by the 1920s, those schools really had been transformed. Instead of their traditional goal to train each new generation of “Christian gentlemen,” elite colleges became places where students learned to question religious verities. As a result, conservative evangelicals faced a difficult situation. Some schools, such as Wheaton College, allied themselves with the “fundamentalist” side of the growing divide among Protestants. Most other elite schools, though, moved toward the new vision of higher education. Some 1920s fundamentalists responded by opening schools of their own, such as Bob Jones University and Dallas Theological Seminary. In my current research, I’m looking at the twentieth-century history of this alternative network of colleges and universities. Is Deresiewicz right? Do elite colleges turn smart kids into zombies? In some ways, his is not a new argument. Sociologist James Coleman argued in his 1961 book The Adolescent Society that schools did not work the way we thought they did. It was not the most talented students, the brainiest students, who did the best on school tasks. Rather, the nature of the tasks demanded in most high schools led the smartest students to opt out. They focused on success elsewhere, such as sports or social activities. As a result, the best academic records were compiled by a “sub-group” of students who agreed to buy into the school’s irrational demands. In other words, for generations now, our educational system has encouraged a weird sub-class of hyper-successful students. These students are not turned into zombies in college. Rather, they have been zombies all along. To excel in school—not just college but the whole way through—students have to be bright enough to do well at school tasks but not quite bright enough to realize that school is just a shell game. If Deresiewicz is correct, religious colleges may have the last laugh. Conservative Christians complained that elite schools had been stolen from them. As a result, they opened their own schools, built their own network of colleges and universities. Getting pushed out of the academic rat race may have been the best thing that ever happened to conservative evangelicals. Child Abuse or Church Camp? It’s not clear what religious colleges he is referring to (does he clarify this in his book? ), what they are doing differently, and what exactly he means by “technocratic,” but I take him to be attacking instrumental education justified by instrumental values — a situation where the means justify the means. Expertise in anything cannot properly be an end; it is just knowledge of how to do such and such. Presumably Deresiewicz thinks the moral and religious frame of reference provides motives and goals rooted in values and perhaps a narrative about humanity, its history, purpose and ultimate meaning. He doesn’t develop this idea, which is too bad, because that is also precisely where (I would say most) religious colleges founder. By trying to protect the old anti-modernist identities, narratives, and orthodoxies, these schools remain significantly at odds with experts and expertise in the hard and soft sciences as well as the humanities. This is a corrupt situation on both sides of the coin where the apparent differences belie substantial similarities. Success for a conservative religious college is still success by the terms of a technocratic, capitalistic, neoliberal society. What deep difference is there between a religious conservative institution that tolerates a great deal of science denial but produces adequate experts and a Harvard or Yale whose endowments rest in non-renewable energy and the weapons of war? Everyone wants the instruments of power (chiefly wealth), and everyone thinks they know best what “good” to do with it. Some are simply more confident, or more naive, or less in tune with the bad conscience of western modernity, which is the best we all must lie in.